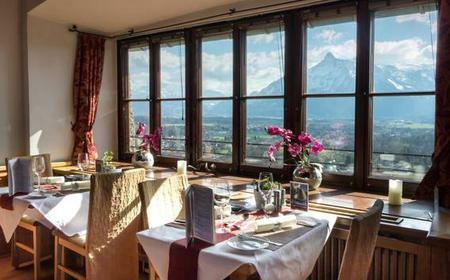 ...rward, finish your tour with hot coffee and cake at Restaurant M32, and gaze over the rooftops to Hohensalzburg Castle. 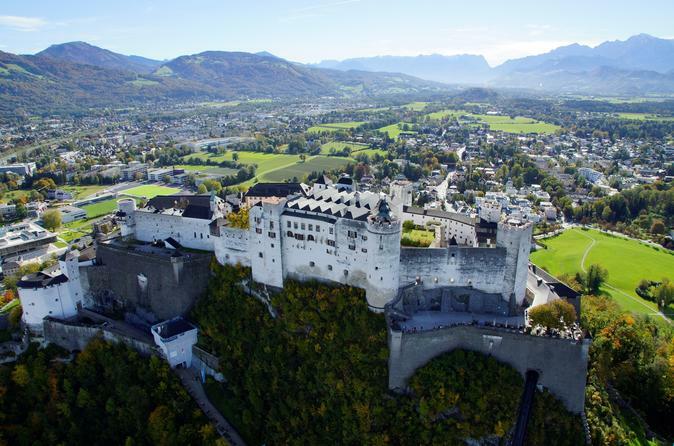 Nestled at a height of 506 metres atop the Festungsberg hill in Salzburg, the Hohensalzburg Castle is the largest preserved medieval castle in Europe. 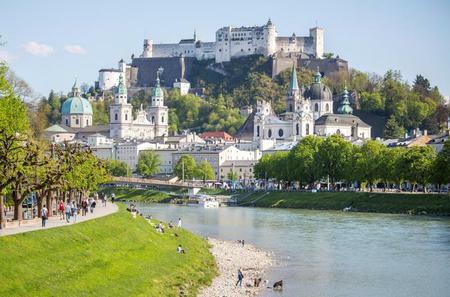 Nestled at a height of 506 metres atop the Festungsberg hill in Salzburg, the Hohensalzburg Castle is the largest preserved medieval castle in Europe. 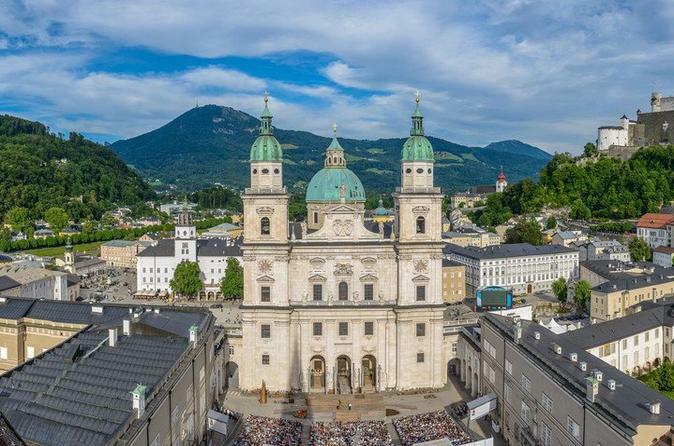 Originally built in 1077 under Archbishop Gebhard von Helfenstein, it has been enlarged over the years, now spread over an area measuring 250 metres by 150 metres. 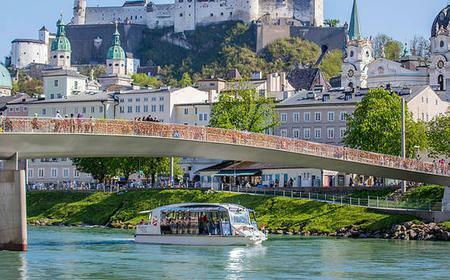 Hop aboard the Festungsbahn funicular railway at Festungsgasse, and reach the castle in under a minute. 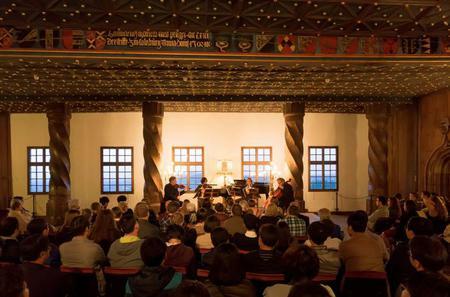 Explore the premises as part of a guided tour, and look around the courtyard, fortress building, and palace museum. 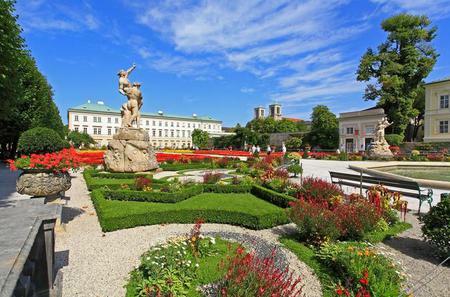 The Festungsmuseum Carolino Augusteum or Palace Museum is dedicated to the history of the palace. Get awed by the magnificent Gothic style Regency rooms of former influential archbishops, which are among some of the most beautiful gothic secular chambers in Europe. 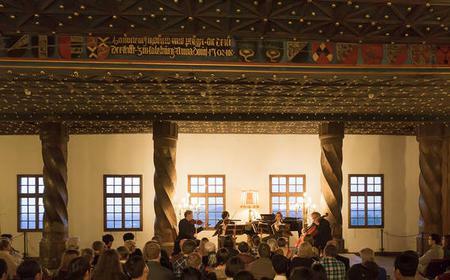 The Golden Hall has a 17 metre long ceiling beam painted with the coat of arms of Leonhard von Keutschach, towns and bishoprics associated with Salzburg, and the Holy Roman Empire. Keutschach's coat of arms features a turnip, and can be seen in several other places all over the castle. The lower part of the walls in the Goldene Stube (Golden Chamber) were once covered with gold-embossed leather tapestry which has not survived, but you can see the richly decorated benches. The Rainier Military Museum is dedicated to the Salzburg regiments that fought in both World Wars and exhibits arms, armor and ammunition. You will also come across the dungeon, and torture chamber which is filled with chilling torture devices from that era. 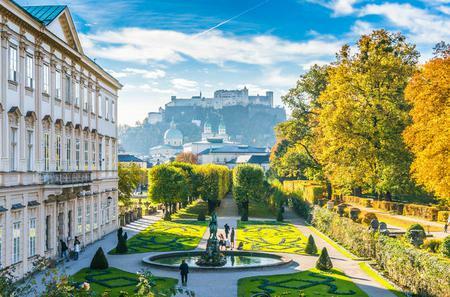 The Museum of Puppetry showcases the local tradition of puppets with several historical dummies, and performances of Mozart classics by the Marionette Theatre. 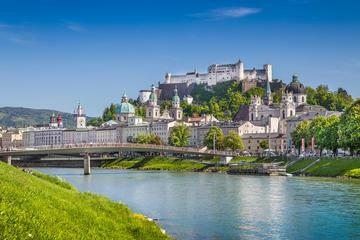 Climb the Reckturm watchtower for panoramic views over Salzburg. 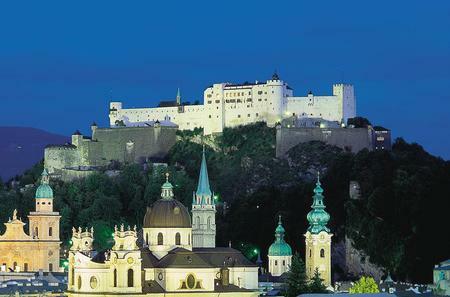 The Krautturm (powder tower) houses the famous Salzburger Stier or Salzburg Bull, a gigantic mechanical organ of more than 200 pipes from the 16th century. The complex has other towers such as the Burgmeisterturm (Mayor's Tower), Trumpeterturm (Trumpeter's Tower), Schmiedturm (Smith's Tower), Geierturm (Vulture's Tower), Hasenturm (Rabbit's Tower), Feuerturme (Fire Towers), and Belfry. The site includes the Romanesque Chapel of Archbishop Leonhard von Keutschach dedicated to St George. Online standard tickets cost € 13.00 (early bird € 11.50) for adults, € 7.40 (early bird € 6.60) for children aged 6-14 years, and € 28.90 (early bird €25.50) for families (2 adults + 3 children). 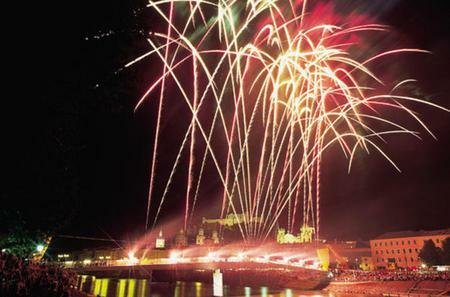 Standard tickets booked on site cost € 15.20 for adults, € 8.70 for children, and € 33.70 for families. 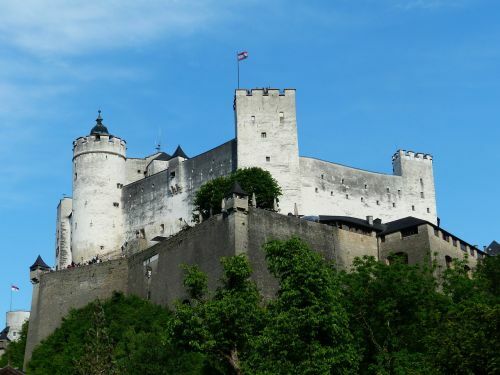 Castle lift, audio guide tour, tour of the inner rooms, Regency chambers, Fortress Museum, Rainer Regiments Museum, Marionette Museum, and Magical Theater are included. Basic tickets without entry to the State Rooms and Magical Theatre cost about € 1.00 less. Special Guided Tours in summers take visitors around other parts such as the Pfisterei (old bakery), the wine cellar, and the Kuenburgbastei (quadrangular weir).